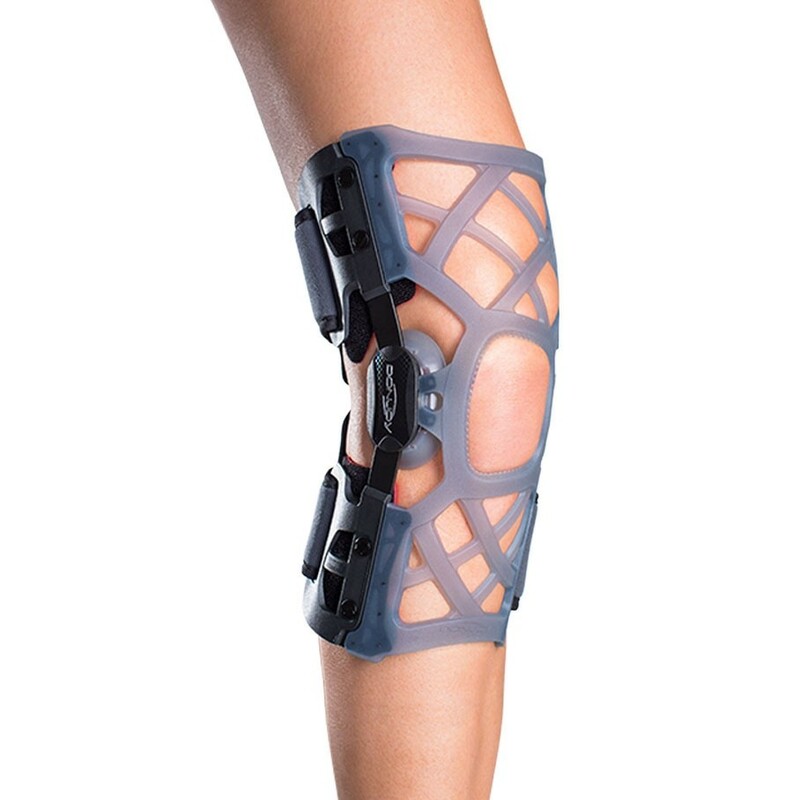 A new level of bracing comfort for those with early to mild OA of the knee or early joint space narrowing. 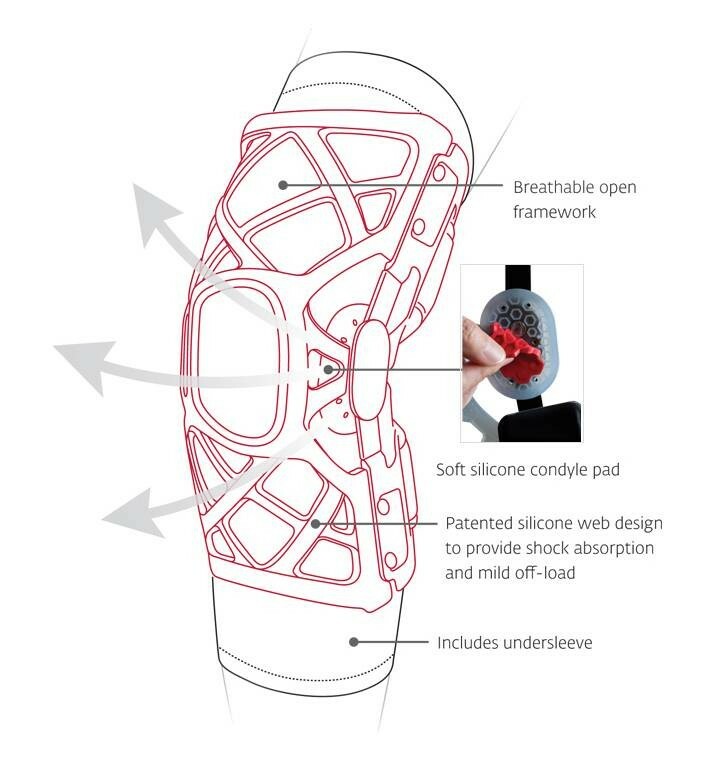 The DonJoy OA REACTION WEB offers discreet wearability using gentle offloading and proprioception to help reduce knee pain for mild to moderate activity. 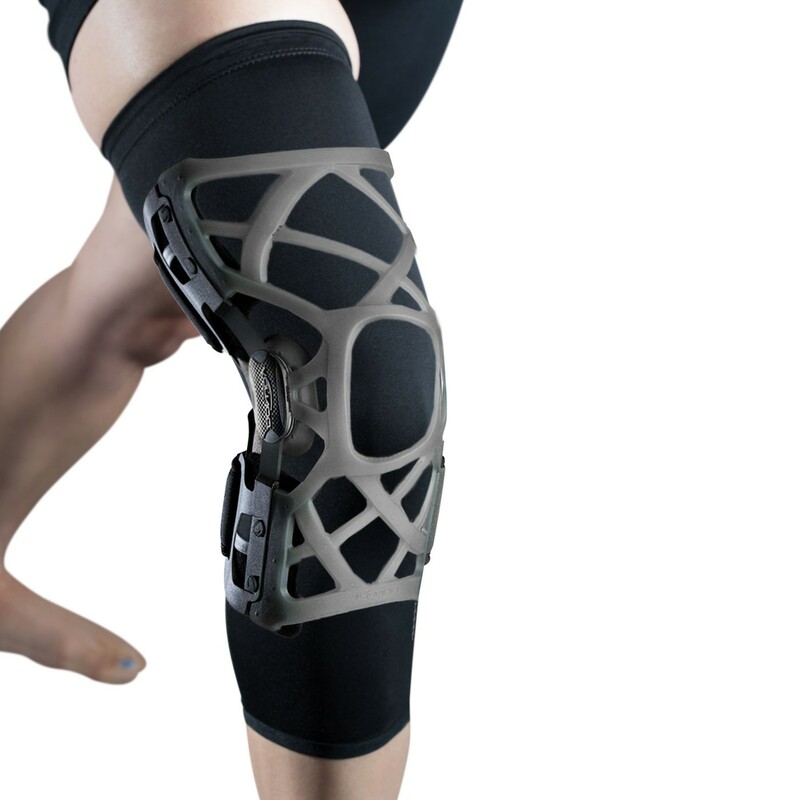 The patented silicone web technology provides a custom fit that won't slip and gives those with OA knee pain the relief they need in a comfortable, lightweight, low-profile brace that can even be worn under clothing before, during and after activity. The OA REACTION WEB is designed for those who participate in mild activity, obese patients, and active aging patients who jog, hike or play tennis or golf. I have bad OA, love to ski, hike and work on my feet all day in my carpentry shop. I bought this brace because of the low profile and thought it would be good to use for work and xc skiing, I have a bigger unloading brace I use downhill skiing. This brace works very well in unloading the inside of my knee where my OA is and I am very happy with the performance. Yes, I still have pain but not as much when I am wearing this brace. This brace gives me the support I need for my OA in the knee. Don't have to worry about the knee giving out or taking a fall. Cons: Nothing yet, everything is good. The brace stays right where it needs to be. I tore my meniscus at the root right before leaving for a hiking trip in New Zealand. I did all the hiking I wanted to (with trekking poles) and managed to heal. My doctor thought I had custom brace made. Pros: Lighter and less bulky than other braces my orthopedist recommended. Worked great to eliminate pain from a torn meniscus with the offloading feature. Cons: The sleeve made the brace slip. I did get minimal chaffing which I eliminated with kinesio tape. See summary, plus easy to use and fit. Have used this a couple times with great result i am able to freeley walk and jog with little pain to the knee joint my OA is not severe so this product works for me. Pros: Easy fit, light weight.